I’m always looking for way to make my online life run smoother. For the last few months I’ve been trying out a couple of apps and services that have smooth written all over them. WriteThat.name is definately at the top of my smooth, easy and helpful list. This is SaaS that runs in the background and scans your incoming email looking for changes in your contact’s email signatures. When it finds one WriteThat.name updates your contacts and then sends you an email letting you about the change. Works with Gmail, Outlook, Highrise, Salesforce and other email clients. And it’s affordable, starts at free and goes up to 60 bux a year. How cool is that! Rapportive is a free add on for Gmail, Firefox, Safari, Mailplane and Chrome. 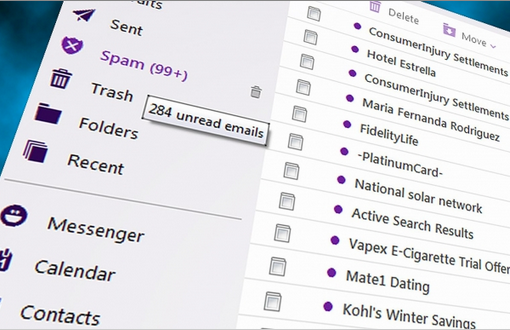 It offers real time information from anyone who emails you. For example, this morning I received an email from Brad Patterson, the Community Manager for WriteThat.name. When I opened his email this is what displayed on the right side of my gmail screen. Brad’s a Community Manager so as you would expect he has lots of social contact information linked to his email address including the usual suspects, Twitter, Facebook, LinkedIn along with (at the bottom) Quora, Google Reader and Picasa. Under recent mail is a list of all, you guessed it, recent mail from Brad and there is even a place to make notes that will display every I click on an email from Brad or hover above his name on any email. When you hover on the Follow, Friend or Connect buttons you get a popup with more information – like if they are following you. Unfortunately this info is not always correct but despite a few minor bugs this is a valuable addition to email for anyone who wants to see where else they can connect with folks who email them. One other challenge with Rapportive is that some folks have their social media accounts connected to personal email addresses and not their work address. That lessens the usefulness of the app in a few sectors. Regardless of the minor challenges both of these will make managing and getting to know your contacts way easier. Highly recommend!